Hello everyone! I’ve been loving this product lately as it is quick and easy to use. My apologizes for the really bad lighting in all the photos. Review: Lately, I have been using a lot of quick easy to use products because I spend less time in the morning getting ready (hey sleep is important okay!). 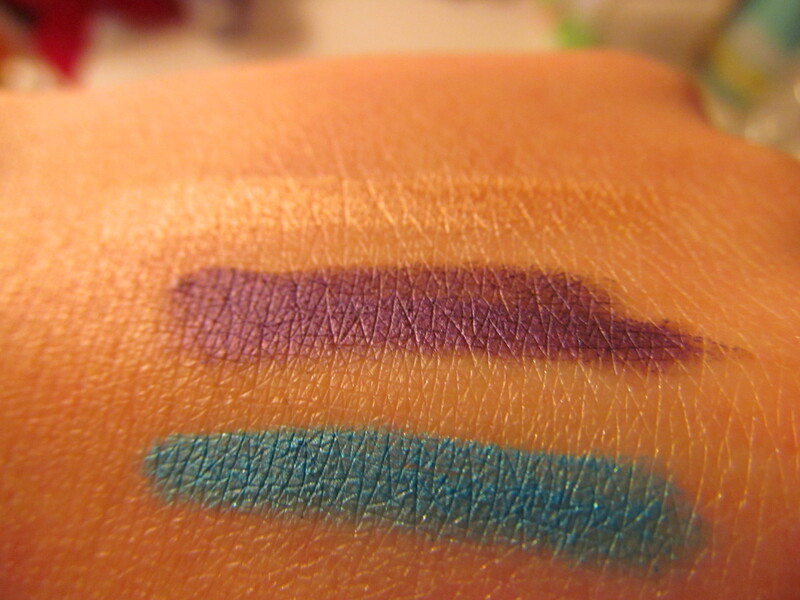 These work great by themselves and with other eyeshadows on top as well. They do not crease nor smudge even after the 6 hour mark and that’s without an eye primer. Even the shades are gorgeous there were several shades available and I love all the names. 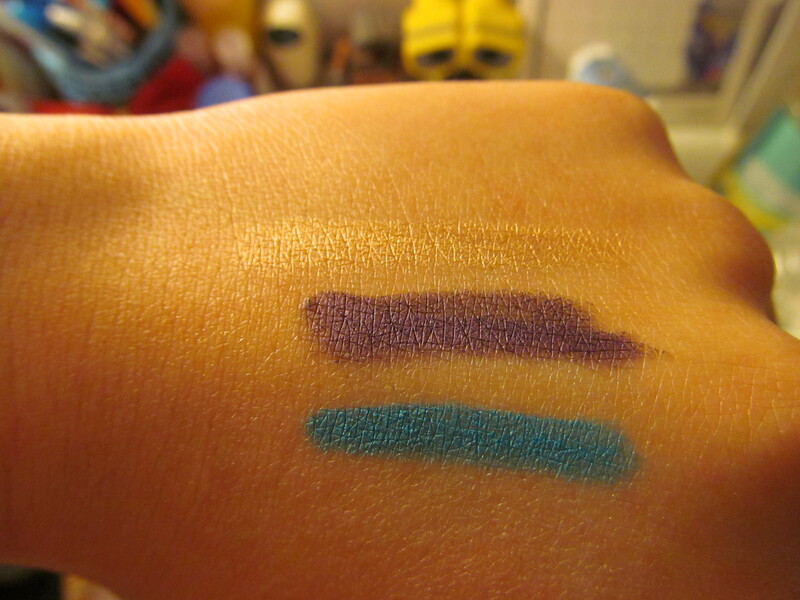 As you can tell by the swatches the shades are pigmented and the pencils themselves just seem to glide across the skin. Even as an eyeshadow base they work well under powder eyeshadows really picking up the intensity if they are in the same color family. 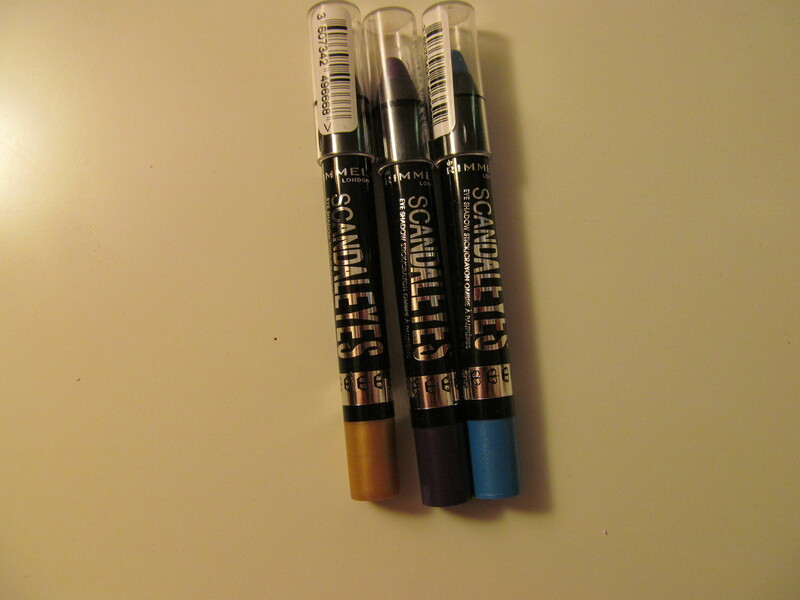 I will definately pick up more as they work great as a quick and easy eyeshadow look. Would I recommend this product? 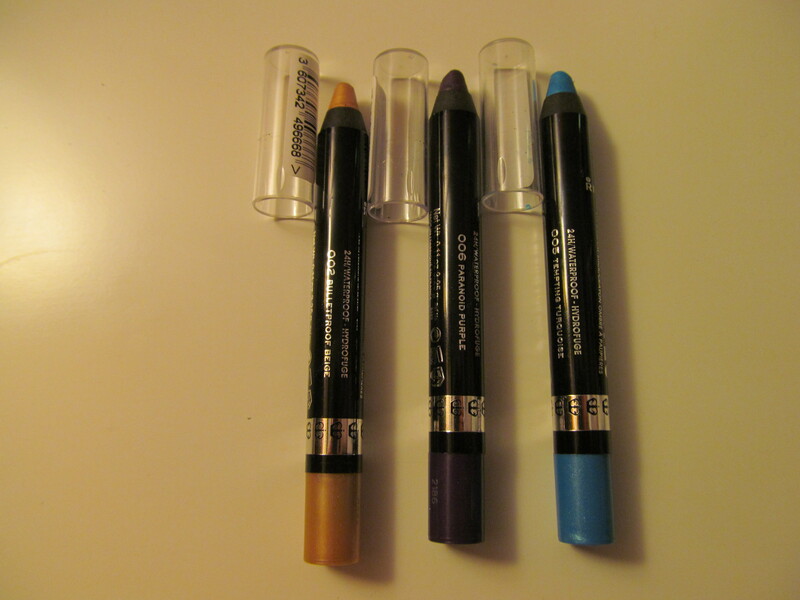 Yes these work great as bases for eyeshadows even without an eyeshadow primer or by themselves. I really want to check out the champagne one! It is an awesome everyday shade for sure! I know how that is but they are gorgeous!